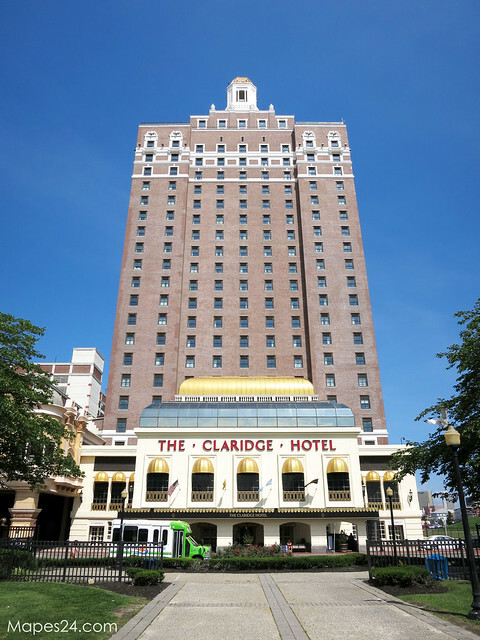 Originally opened in 1930, the historic Claridge Hotel stands out from many of the other resorts on Atlantic City’s main strip, as it is one of a few stand-alone hotels near the boardwalk. While most people heading to Atlantic City will first look to book a room in one of the many casino resorts, the Claridge Hotel acts as a viable option to those seeking a more affordable alternative, yet do not want to stay in one of the run down motels in the area (do a quick look through Tripadvisor and you’ll see that most of the motels have very poor ratings). 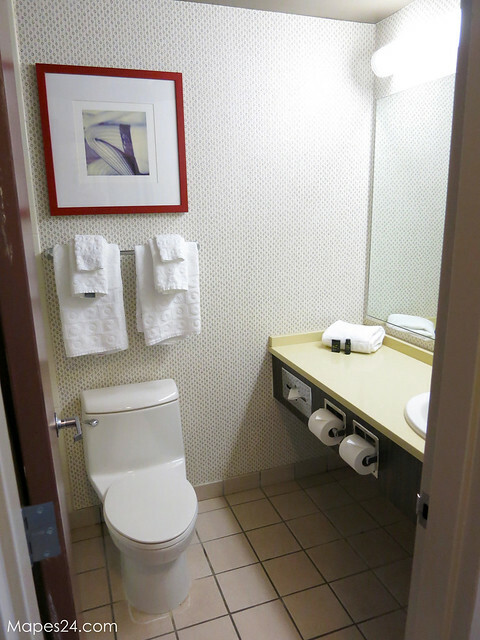 Though the owners have maintained the outer façade of the hotel, and hints to the long history of the hotel are scattered all around, the rooms have been renovated with a simple, yet modern décor. 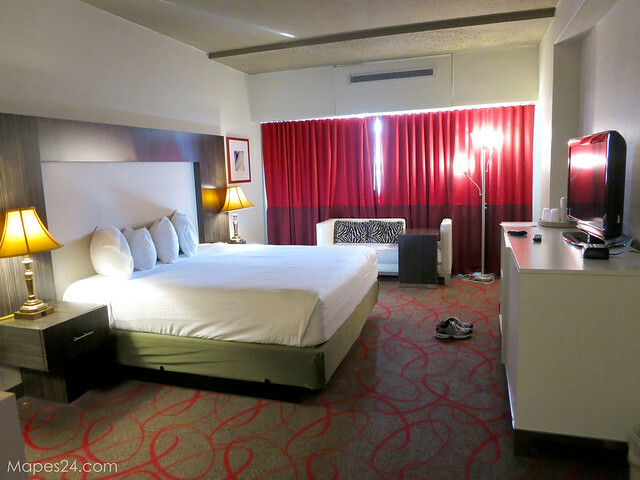 There is ample space, and the bedding is acceptably comfortable, but there were no amenities that made the Claridge really stand out from any other similarly-priced, mid-level hotels. The benefits to staying at the Claridge include the proximity to the boardwalk/beach (approximately a block away), and its central location on the strip. Most of the major casino resorts are within walking distance, but I would advise possibly taking a taxi at night, as crime seems to have recently increased, according to many of the locals I spoke to while sitting at the poker tables. Though overall service was quite acceptable, I did have to dock them points as on the afternoon of my check-in, the computers had all shut down, causing a huge backup in the lobby. I do commend the staff for trying their best to quickly address the problem, but that doesn’t change the fact that I had to wait for over an hour, just to check-in (and after playing poker all night, the last thing I wanted to be doing, was standing in line for an hour). 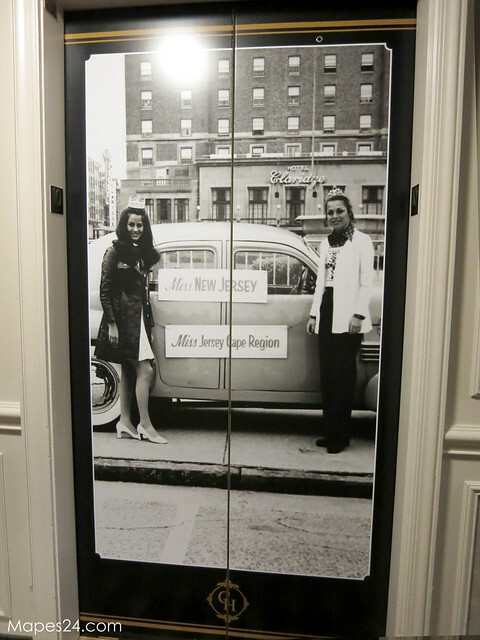 Overall, I would still recommend that people at least check out the Claridge Hotel when planning their next visit to Atlantic City as they had pretty competitive prices compared to other area hotels, but be aware that most of the activities you’ll want to participate in will have to be done off-site, as this is truly a stand-alone hotel.